Posted 11:04 am by admin & filed under KC Eye Clinic News, Optical. 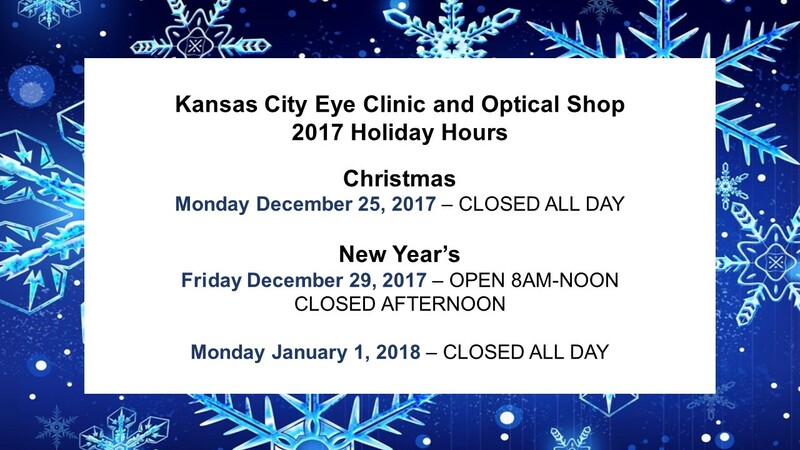 KC Eye Clinic and Optical Shop will the closed on the following days to allow our employees to spend time with their families and loved ones. Happy Holidays and Merry Christmas to everyone and enjoy and safe and joyful season! Halloween at KC Eye Clinic!